2015 End It Movement Awareness giveaway! I first heard about the End It Movement at the Chicago Vampire Diaries Convention. During the panel with Nathaniel Buzolic, he talked passionately about his involvement in the cause. And since then, I've been researching, reaching out and raising awareness myself! I decided that maybe a giveaway - complete with End It-themed polishes and manis was the way to go! 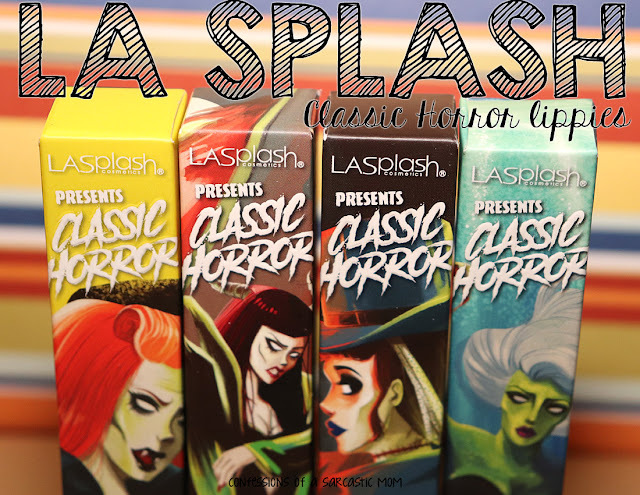 This giveaway is open internationally, and more prizes could be added before the end date - which is September 1. Always check the Rafflecopter widget for time remaining. So far we have these prizes! How can you enter? There will be 3 points of entry. The first, and ONLY mandatory entry will be providing an e- mail address. Two additional points of entry are available, as well. 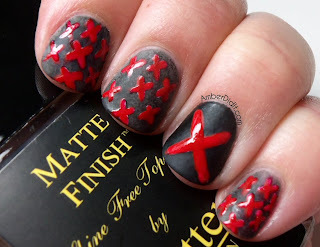 For 5 entries, you can create a manicure inspired by the End It Movement logo, a red X over a black/dark background - or just red and black designs in any way (greys and whites are ok too). Below are two examples of End It-themed manis :) The first one is mine, and the second is courtesy of my friend Amber from Amber Did It. The best part? 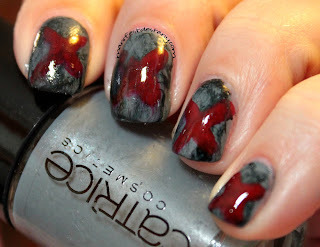 Every mani sent to me will be featured on a page on this blog, in the top bar, for as long as I have this blog. Please name your photos with yourname.jpg or blogname.jog, and send them to endit@manifestdestany.com. And the third way? You can donate to one of the causes that supports the End It Movement or to the End It Movement itself!! Check out the links below. If you choose this option for entry, you must provide me with a receipt of your donation (blacking out all your personal info!). You can e-mail a copy at endit@manifestdestany.com. No matter the money you donate, you will be allotted 10 entries for donating. Donate what you can. Due to Rafflecopter switching up entry guidelines, this entry will require 2 :) In one, just tell me where you donated, and in the second, just tell me that you e-mailed the receipt. Please note that donations to other organizations will not be counted for giveaway entries - they must be an organization listed on the End It Movement website. I will closely monitor these entries. If you denote in the Rafflecopter widget that you have donated, and I do not receive an e-mail receipt from you, your entry will be removed. If you denote you sent a mani picture, and I do not recieve one, your entry will be removed. The goal of this giveaway is to raise awareness for his cause. As I said before, I will showcase all manis sent to me, and they will stay showcased on this blog until this blog is no more :) Have any questions or concerns, PLEASE e-mail me at endit@manifestdestany.com.